Approximately ninety six percent of the 441,604 acres in this HUC are privately owned. The remaining acres are state, county or federal public lands, conservancy land or held by corporate interests. Assessment estimates indicate 1,022 farms in the watershed. 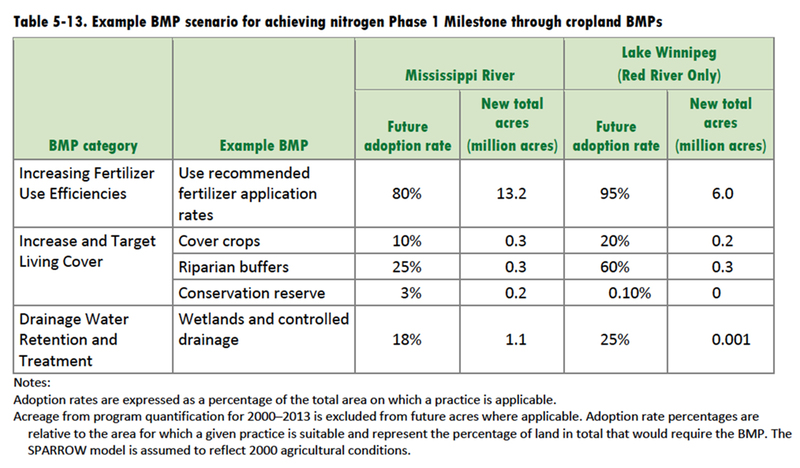 Approximately forty nine percent of the operations are less than 180 acres in size, forty percent are from 180 to 1000 acres in size, and eleven percent of farms are greater than 1000 acres in size. The overall average farm size in the basin is seventy eight acres. SPARROW Modeling for the Winnebago River Watershed indicated average flow-weighted mean TN concentration of 20.64 mg/l. 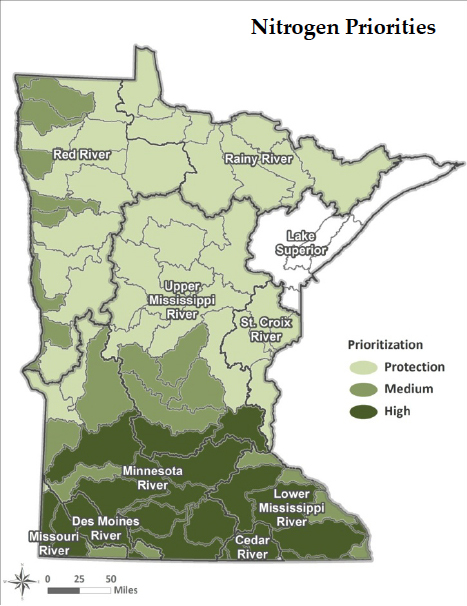 This value represents the median FWMC of all subwatershed catchments within the Winnebago River Watershed. SPARROW model annual TN yield results for the Winnebago River Watershed was 24.06 lbs/acre/year. 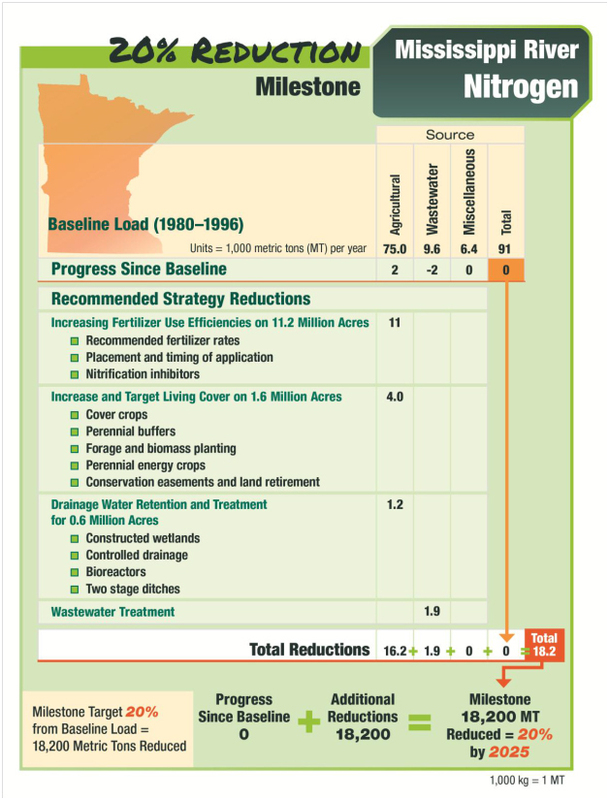 SPARROW model annual TN yield results for the Winnebago River Watershed was 0.35 pounds per acre per year (lb/ac/yr).